Yes. Nigerian born British actor Chiwetel Ejiofor is trending right now in conversations on actors tipped for the Best Actor Oscar on Sunday, February 24, 2014. But it is not for his captivating role as Odenigbo in the Biafran War film "Half of a Yellow Sun" adapted from the award winning novel of the same title by celebrated Nigerian novelist Chimamanda Ngozi-Adichie. 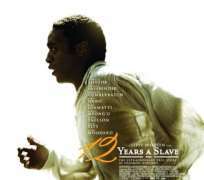 For his more challenging and unforgettable role as Solomon Northup in Steve McQueen's "12 Years a Slave", the 2013 historical drama film based on the autobiography Twelve Years a Slave by Solomon Northup, a free black man who was kidnapped in Washington, D.C., in 1841 and sold into slavery. He worked on plantations in the state of Louisiana for 12 years before his release. Hollywood is not even comparing it to his role in "Half of a Yellow Sun" and that should worry the producers of the British/Nigerian movie, because "12 Years a Slave" has overshadowed their own movie and will definitely affect the performance at the box office where it matters most, in America and Canada. But fans of Ejiofor may go ahead to see the two films and that will be good news for producers of "Half of a Yellow Sun" who have not done much for the publicity of their film and till date, have not released any official poster for the most expensive Nigerian movie so far. I wish them luck in getting a major distributor if they want to benefit from the popular demand for Chiwetel Ejiofor at the box office. Chiwetel Ejiofor in a scene from "Half of a Yellow Sun".